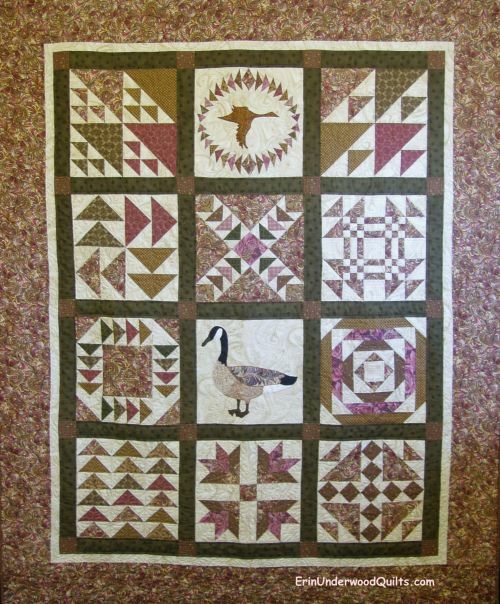 This quilt was originally designed as a block-of-the-month for the Flying Geese Quilt Guild of Bel Air, Maryland. Different techniques on how to make a flying goose block were used construct the quilt. Each block has something to do with a goose, whether its looks like a goose or has the word "goose" in the name.